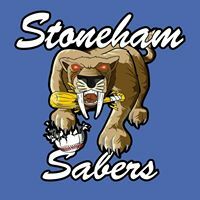 Powers homers in the first inning for Stoneham. Rice smashed a RBI double to plate Pizzaro in the 7th. Braves threaten with second & third in the 7th, but Powers would strike out 2 Braves to earn the save.